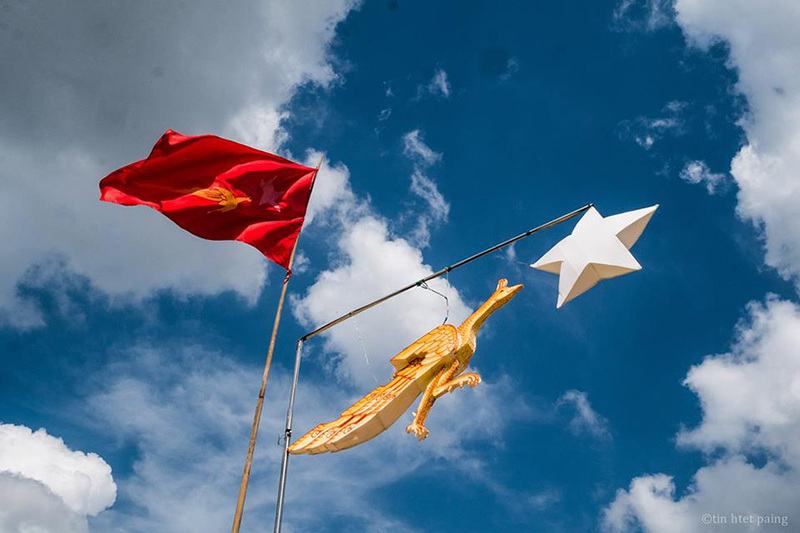 September 1988 — National League for Democracy (NLD) is founded by people from various walks of life with an aim to accelerate the popular pro-democracy uprising toward a change in the political system. 1989 — After the NLD adopts a political policy to defy orders that they consider unjust to the people, its senior leaders Daw Aung San Suu Kyi, U Win Tin and U Tin Oo are arrested by the military. May 27, 1990 — The NLD wins a landslide victory in the 1990 general elections held by the military government, the State Law and Order Restoration Council (SLORC), winning in 392 out of 447 constituencies. July 19, 1990 — The NLD issues the Gandhi Hall Declaration, calling for Parliament to be convened, and immediate discussions with representatives of SLORC, as well as the release of Daw Aung San Suu Kyi and all political prisoners, and the lifting of restrictions on people. 1990 — SLORC does not transfer power to the NLD, and instead arrests, issues warrants for and revokes the positions of many elected lawmakers. October 14, 1991 — Daw Aung San Suu Kyi’s efforts for democracy, human rights and peace are recognized with the awarding of the Nobel Peace Prize. 1993 — Representatives of the NLD, together with representatives from nine other parties, attend the National Convention organized by SLORC to draft a constitution. 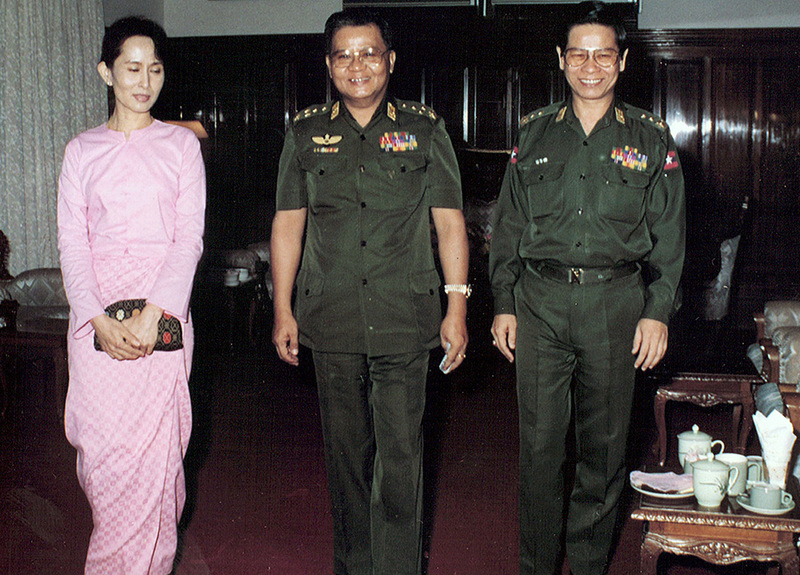 September 20, 1994 — Daw Aung San Suu Kyi, general secretary of the NLD, at this time under house arrest, meets SLORC chairman Snr-Gen Than Shwe and Secretary-1 Maj-Gen Khin Nyunt at a government guesthouse. July 10, 1995 — Daw Aung San Suu Kyi is released after six years of house arrest. 1995 — NLD boycotts the National Convention and issues a declaration, saying it assumed that the convention did not contribute to national reconciliation, the emergence of a multi-party democracy, and a constitution acceptable to the people. Then National Convention is postponed for an indefinite period. September 1996 — A mob wielding bricks and sticks attacks the motorcade of U Kyi Maung and Daw Aung San Suu Kyi who had come to meet the public on U Chit Maung Street in Yangon’s Bahan Township. 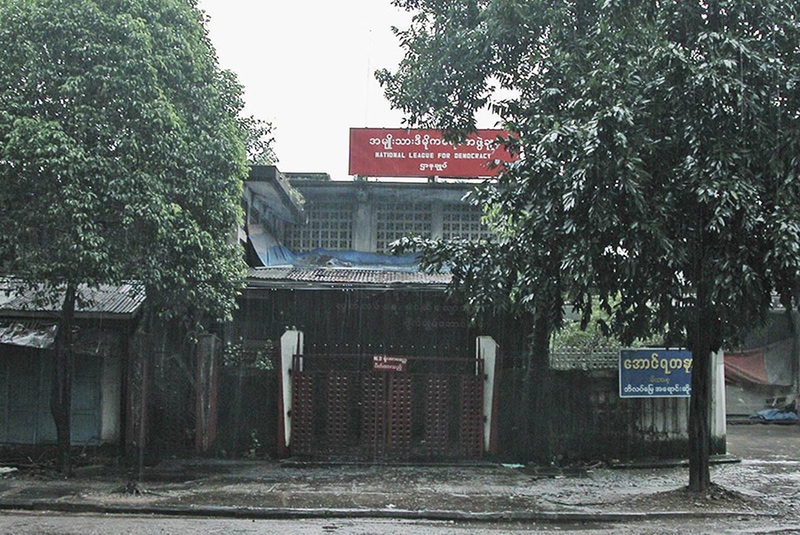 September 21, 2000 — Daw Aung San Suu Kyi and party members who are leaving for Mandalay are blocked by the military at Yangon Central Railway Station. More than 40 party members, including current President U Htin Kyaw, are detained. 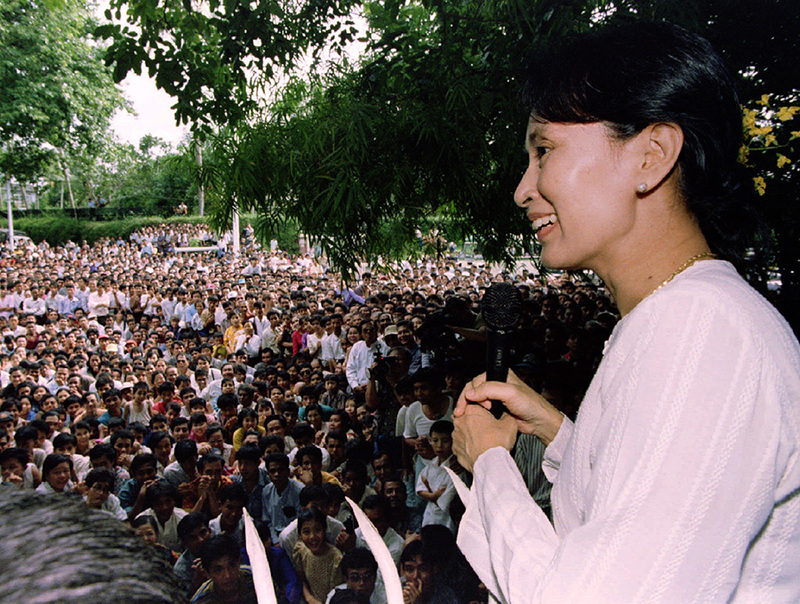 September 23, 2000 — Daw Aung San Suu Kyi is placed under house arrest for a second time. 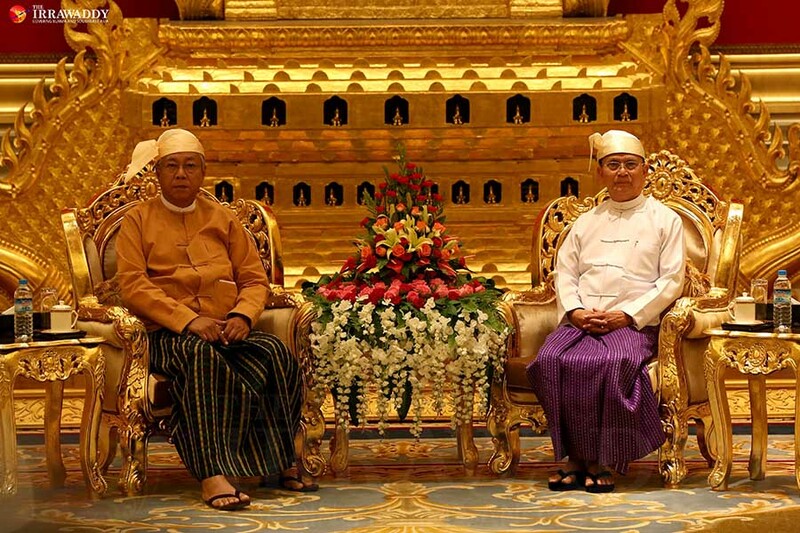 January 22, 2002 — Daw Aung San Suu Kyi, who is under house arrest, meets Snr-Gen Than Shwe. Details of their meeting are not made public. May 6, 2003 — Daw Aung San Suu Kyi is released after 18 months of house arrest. May 30, 2003 — In Sagaing Region’s Depayin, the motorcade of Daw Aung San Suu Kyi is attacked by a mob wielding sticks and swords. Dozens of people are injured in the attack. May 31, 2003 — Daw Aung San Suu Kyi is put under house are st for a third time. May 25, 2006 — Her house arrest is extended one more year. 2007 — NLD party members join the Saffron Revolution alongside Buddhist monks demanding democratic change and Daw Aung San Suu Kyi’s release. 2008 — The NLD issues a statement criticizing the military regime for holding a national referendum only to ratify the Constitution instead of taking care of storm victims in the aftermath of Cyclone Nargis. September 23, 2008 — One of the founders of the NLD, U Win Tin, is released after 19 years in jail, and adopts plans to revive the party. 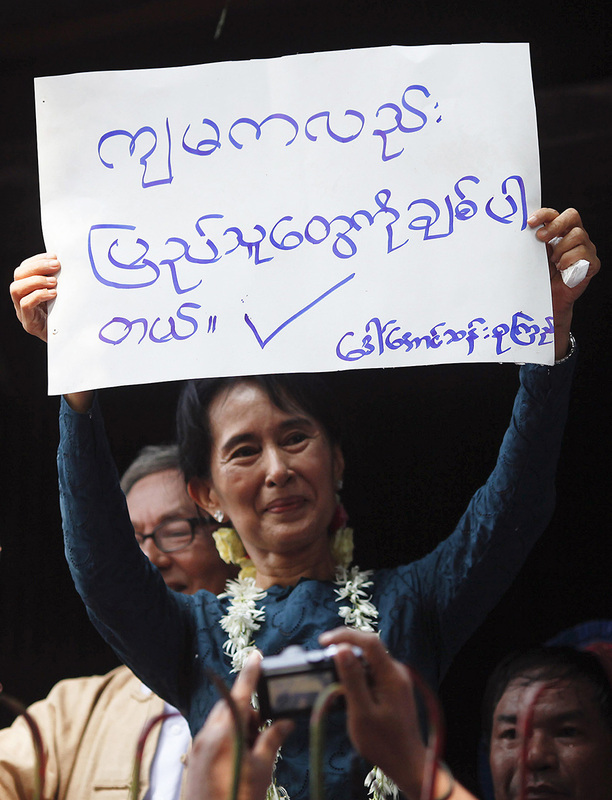 September 24, 2009 — The NLD publishes the Shwegondaing Declaration, calling for the unconditional release of all political prisoners including U Tin Oo and Daw Aung San Suu Kyi, a review of the 2008 Constitution, the building a genuine Union with equal rights for ethnic minorities, and recognition of the 1990 election results by the military regime. 2009 — Daw Aung San Suu Kyi has her house arrest extended for 18 months for allowing US citizen John Yettaw into her residence after he swam across Inya Lake in an attempt to meet her. February 14, 2010 — Vice-Chairman of the NLD U Tin Oo, who was arrested in 2003, is released from house arrest. August 19, 2010 — The NLD boycotts the 2010 general elections, saying the proceedings are not free or fair. November 13, 2010 — Within days of the 2010 general elections, Daw Aung San Suu Kyi is released from more than seven years of house arrest. 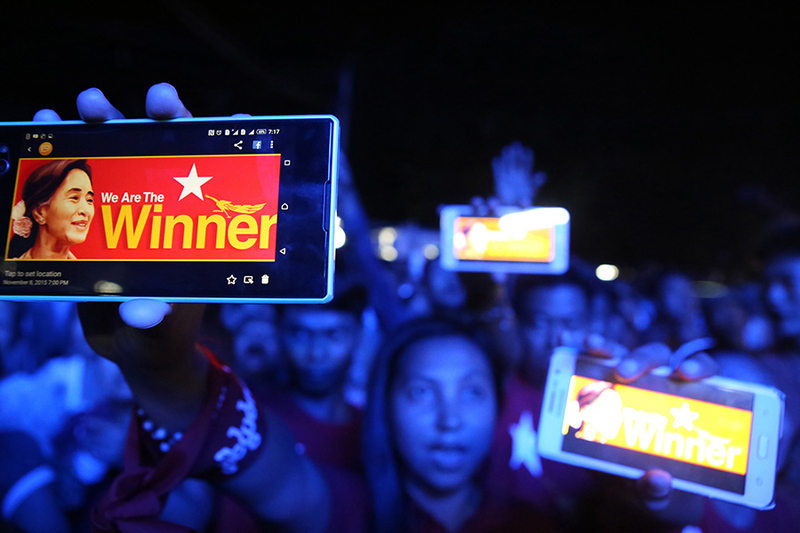 April 1, 2012 — NLD wins 43 out of 45 constituencies in the by-elections, and Daw Aung San Suu Kyi becomes a Lower House lawmaker representing Yangon’s Kawhmu Township. 2014 — The NLD conducts campaigns with the 88 Generation Peace and Open Society to collect signatures to amend Article 436 of 2008 Constitution, which requires the approval of more than 75 percent of parliamentarians to make constitutional changes. 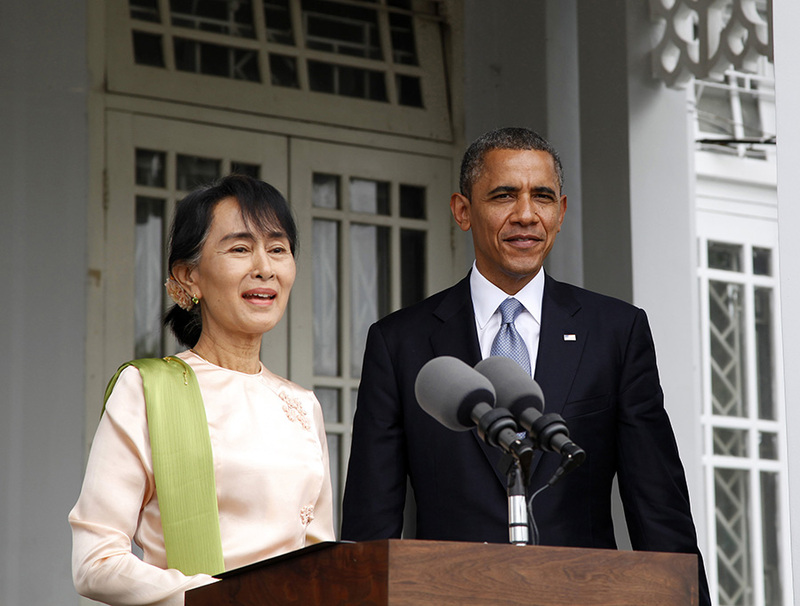 November 2014 — US President Barack Obama meets Daw Aung San Suu Kyi in his first visit to Myanmar. 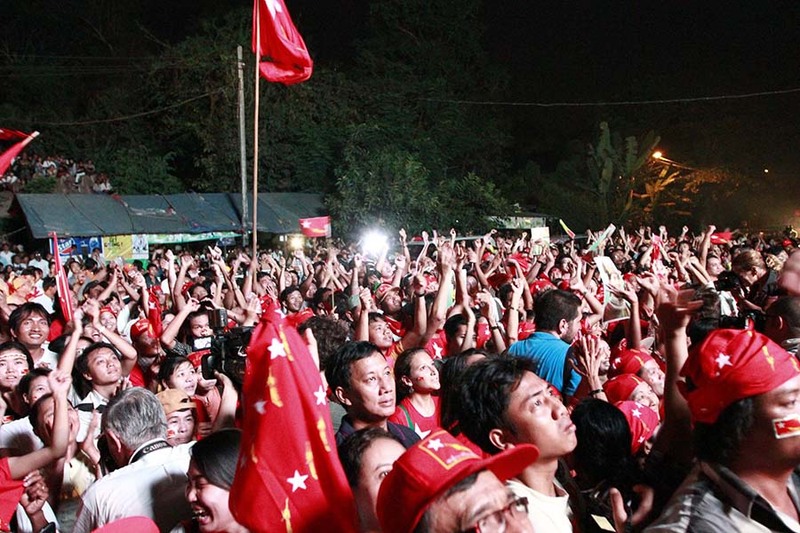 November 8, 2015 — The NLD wins a landslide victory in the 2015 general elections, winning 886 out of 1,150 seats in the Parliament. 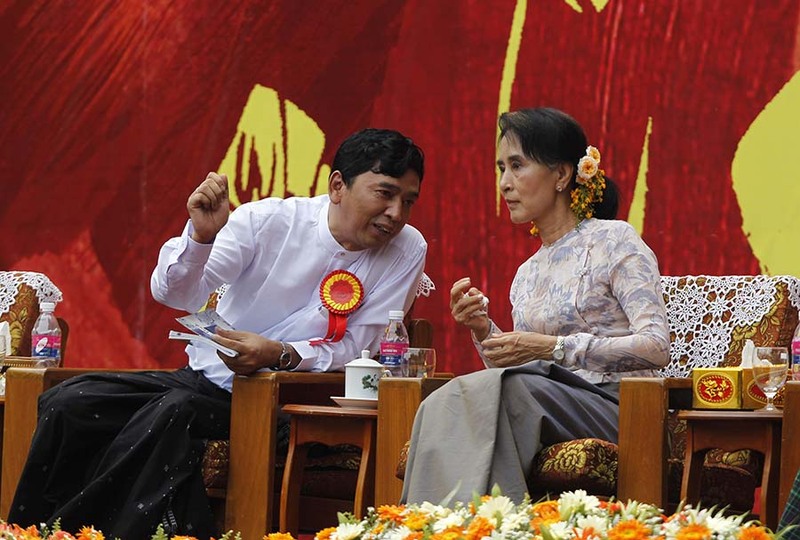 After the NLD’s electoral victory, Daw Aung San Suu Kyi meets former Snr-Gen Than Shwe at his residence in Naypyitaw. 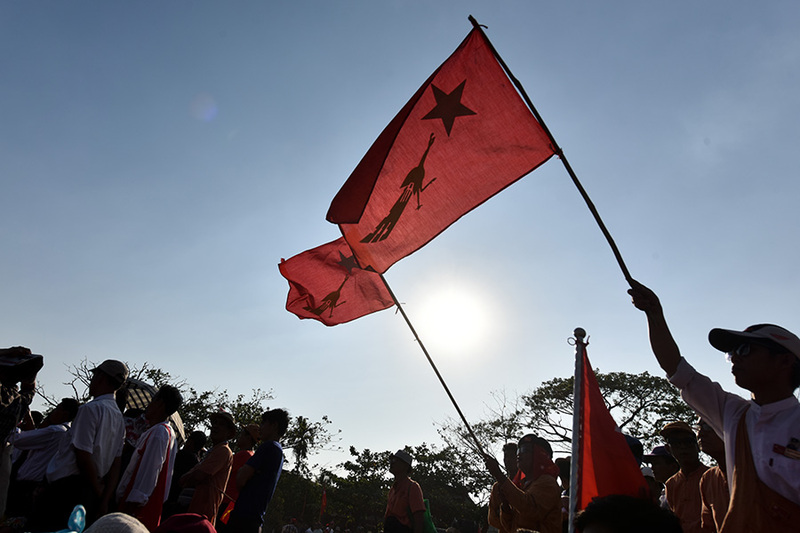 March 30, 2016 — The civilian government led by the NLD takes over the administration from the Union Solidarity and Development Party. 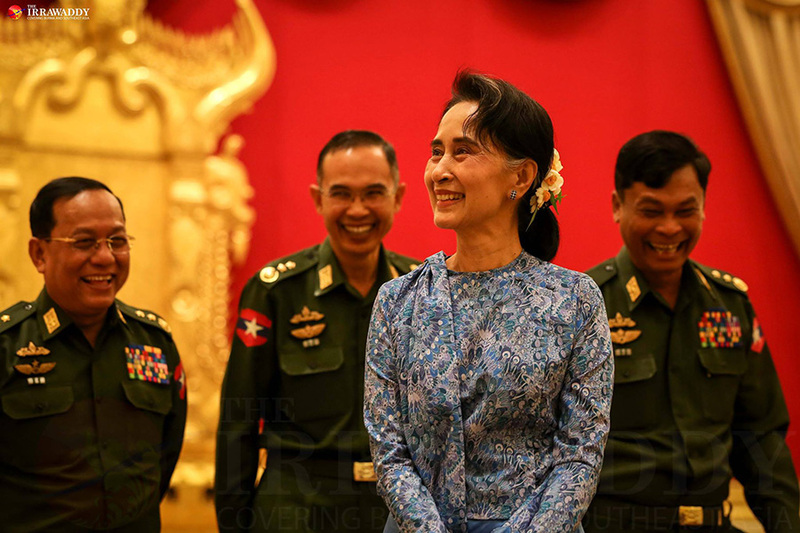 April 6, 2016 — Daw Aung San Suu Kyi, who is barred by the 2008 Constitution from becoming the president, becomes State Counselor of Myanmar. 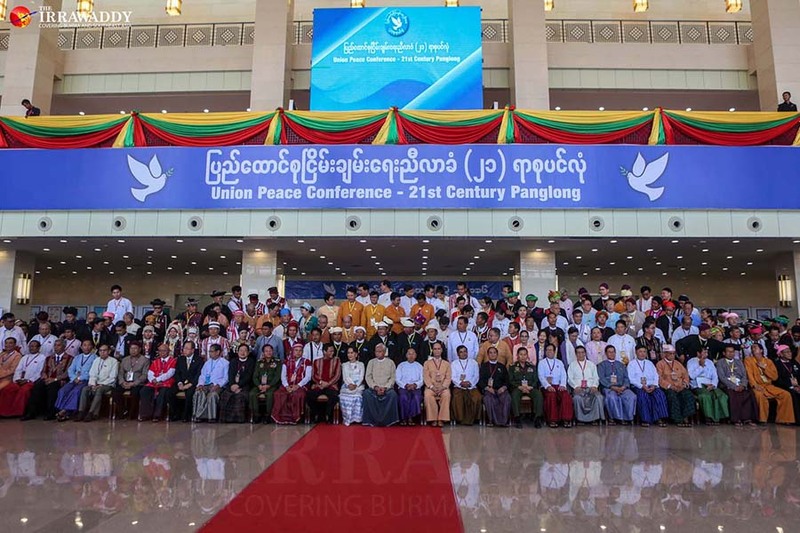 August 31, 2016 — The NLD government convenes the 21st Century Panglong Union Peace Conference in Naypyitaw in an effort to end armed conflicts that have continued for more than 60 years. August – September 2017 — A year after taking office, the NLD government is faced with a great set of challenges as Rakhine State sees militant attacks on security outposts, army clearance operations, and hundreds of thousands of refugees fleeing to Bangladesh. September 27, 2017—NLD marks the 29th anniversary of its founding.